5 Steps to Effective Social Media Measurement #Infographic ~ Visualistan '+g+"
If you're going to invest time in social media, you need to measure performance, but it can be difficult to identify relevant metrics. 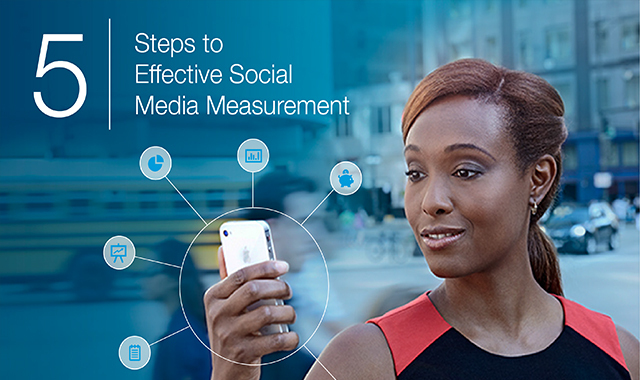 There's no one-size-fits-all method of measuring social media success because goals vary from brand to brand. But you can certainly find ways to measure all the work you're putting into your social presence. Finding and mastering the key performance indicators (KPIs) for your digital marketing efforts is a top priority for marketers. Social media marketing comes under scrutiny often for its effectiveness and performance. It's important to know how you're measuring performance and mastering the metrics that matter.